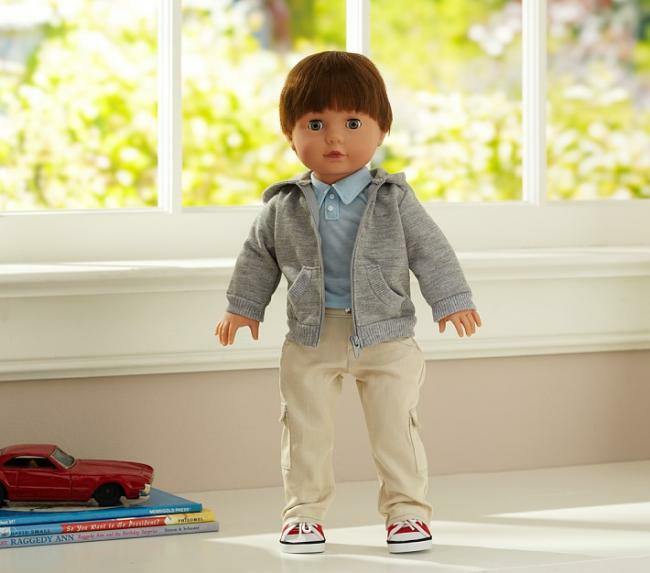 Dressed in cargo pants and a hooded jacket, this sweetly styled boy doll is ready for adventure. Designed exclusively for us by world-renowned doll manufacturer, Götz, Henry makes a great companion for kids of all ages. Face has blushed cheeks, life-like eyelashes and eyes that close. The doll's arms and legs can be moved up and down. Comes with a shirt, sweatshirt, cargo pants and shoes (as shown).